allies, advocates, and agents of change. 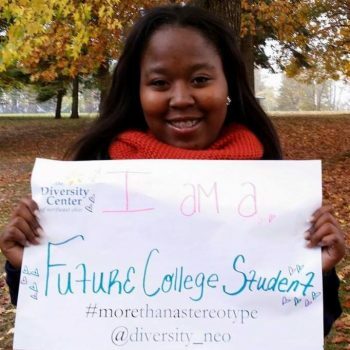 The Diversity Center of Northeast Ohio’s School & Youth Team provides year-round diversity and inclusion centered workshops, conferences, and retreats. 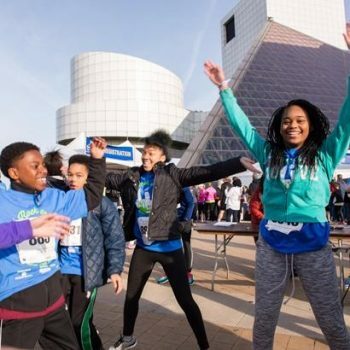 These programs empower youth and youth-serving professionals throughout Northeast Ohio with the skills and abilities to build communities where everyone is connected, respected, and valued. Students who participate in these programs learn how to become leaders and change agents in their schools. Our School & Youth programs are customized to the specific needs of the students and educators that we serve. 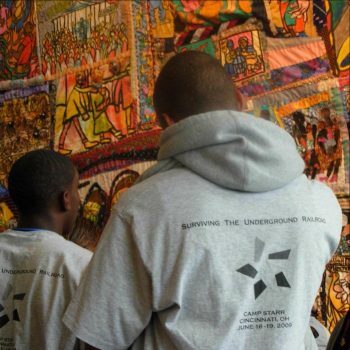 We allow participants to explore aspects of diversity and build skills in a non-threatening and open environment. We have a variety of options that are able to fit within any budget. Our programming theme for the 2018-2019 school year is: "From the Inside, Out: Body Image to Gender Identity"
The Diversity Center will explore this year’s theme “From the Inside, Out: Body Image to Gender Identity” that will help students define who they are and what makes us all unique. 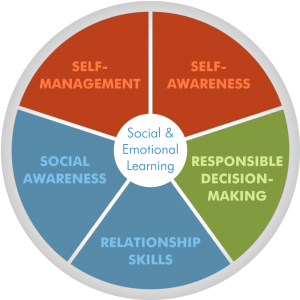 Social development at this age can draw students to desire connections with those around them and to the world in which they live. At the same time, students are reflecting on their identity and how society defines the skin they are in. 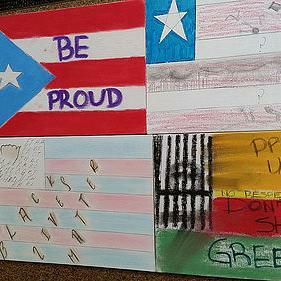 Through a number of activities, students will identify the influence of the media and societal norms on their views of self in the 21st Century. Topics on body image, sexuality, gender identity and ability all focus on self-identification and invite conversations that address expectations, bullying and social isolation. Please join us in our efforts to educate and impact the community. The annual Spring Middle School and High School Conferences bring together students and educators from throughout Northeast Ohio. Students are given the opportunity to meet and form groups with students from different schools, backgrounds, and regions and participate in a series of workshops on diversity and inclusion. Programs for educators will also be included. This year’s conference will focus on our theme of “From the Inside, Out: Body Image to Gender Identity.” We will explore how the meaning of “beauty” can change over time, why we are influenced by those standards, and how those standards can affect how we view ourselves. 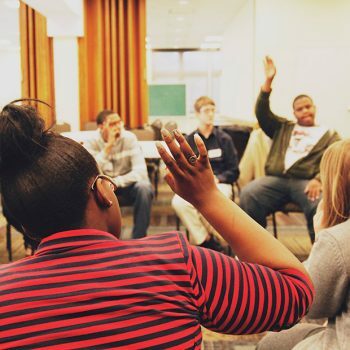 The Diversity Center of Northeast Ohio’s annual Fall High School Retreat is a unique three-day opportunity for students and educators of all backgrounds to come together to explore topics of diversity and inclusion. YouLEAD is a diversity workshop series during which your students will engage with peers through Social Emotional Learning (SEL) Strategies. Each session is designed to help students explore self-awareness, collaboration, and social responsibility through the lens of diversity leadership. Through establishment of safe environments and relationship-building, open conversations can take place around diversity and inclusion in the students’ school and surrounding community. 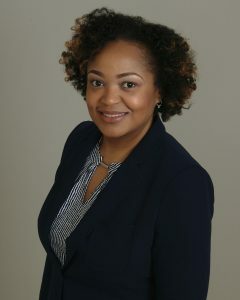 The goal of these workshops is to address bias, bigotry, and racism, build leadership skills, and create school communities where individuals are connected, respected, and valued. Our YouLEAD workshops are age-appropriate, interactive, and designed to encourage dialogue around the topics listed below. A YouLEAD series is comprised of 4-6 workshops that each focus on one topic. Workshops can be adapted to fit your classroom schedule; however, our standard workshops are 90 minutes in length. YouLEAD Junior is an elementary school diversity workshop series in which students engage with peers through the usage of Social Emotional Learning (SEL) Strategies. Each session is designed to help students explore self-awareness, collaboration, and social responsibility through the lens of diversity leadership. Each session lasts between 45-90 minutes. Through establishment of safe environments and relationship-building, open conversations can take place around diversity, tolerance, and inclusion in the students’ school and surrounding community. 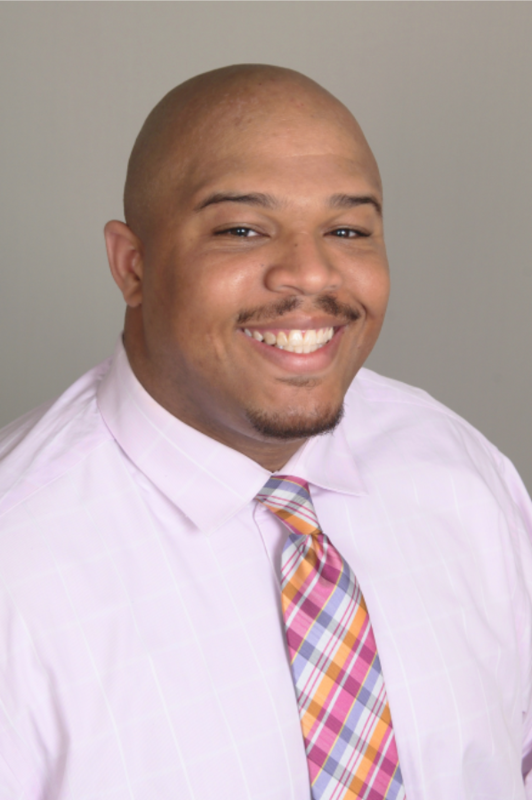 The goal of these workshops is to address bias, bigotry, and racism, build leadership skills, and create school communities where individuals are connected, respected, and valued. Click Here for more information about YouLEAD. 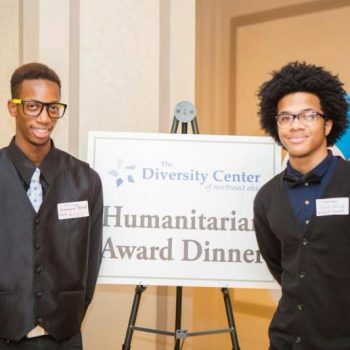 The Diversity Center’s arts-centered diversity education program integrates music, visual, theatrical, and English language arts with lessons focused on inclusiveness, tolerance, race relations, and communication skills while promoting students' creativity, leadership, and academic success. Click Here for more information about Diversity Through the Arts. 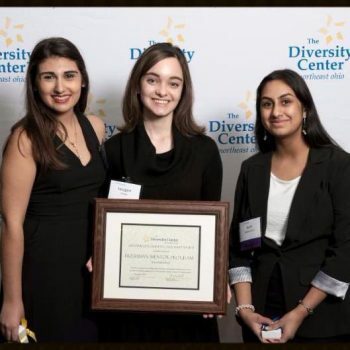 The Diversity Center is committed to working with educators and youth-serving professionals to create classrooms where all students are connected, respected, and valued. This environment fosters a healthy learning community in pursuit of academic excellence. 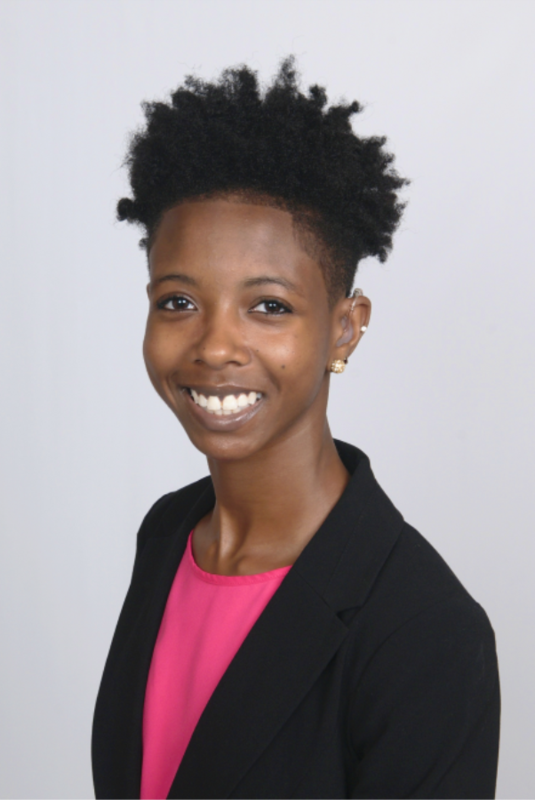 Educators and youth-serving professionals can become influential advocates for social justice in schools, districts, or programs with tools and resources shared in the following workshops. Each workshop is about 2 hours. 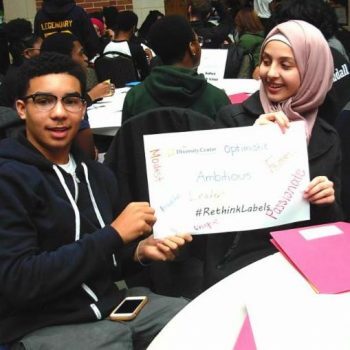 The Diversity Center, in partnership with Goldfarb Weber Creative Media, is proud to present #RethinkLabels, a video and corresponding two-day lesson plan for reducing bias and stereotypes in the classroom. Watch the 2016 #RethinkLabels follow up video!